As more cars hit our already-congested roads, traffic and air pollution will continue to increase. Here, PROFESSOR MARIA ATTARD and PROFESSOR ADRIAN MUSCAT explain how a new app called VJAĠĠ could help policy-makers and entrepreneurs come up with solutions. This project is recipient of the small-grants scheme by RIDT. Traffic in Malta is an ever-present problem. In fact, according to a 2015 study, congestion on our roads cost our economy a total of €274m in 2012 – €155m of which were related to air pollution, accidents, climate change-adaptation and noise. More pressingly, in 2015, the European Economic Area (EEA) also attributed 220 deaths in Malta to air pollution. Traffic, it seems, is killing us in more ways than one. These statistics, alarming as they may seem, have so far remained just that… Statistics. In fact, the only other empirical data we, as a nation, have comes from a one-day travel survey carried out once every 10 years. Unsurprisingly, with the rate Malta’s economy and congestion are growing, even the data itself becomes redundant in a very short period of time. And that’s exactly where the Sensing Mobility Project, which is a collaboration between the Institute for Climate Change and Sustainable Development and the Department of Communications and Computer Engineering within the Faculty of Information and Communication Technology – both at the University of Malta – comes in. “The project was inspired by the challenges of modern-day mobility needs,” explains Professor Maria Attard, an urban and transport geographer who has contributed to numerous national projects, including the pedestrianisation of Merchant Street, the Park-and-Ride in Floriana, and the Controlled Vehicular Access System in Valletta. “The increases in our standards of living and motorisation have led to more active lifestyles and complex travel patterns. This means that traditional survey methods for travel behaviour are increasingly becoming obsolete and not representative of the complex needs of populations,” she adds. 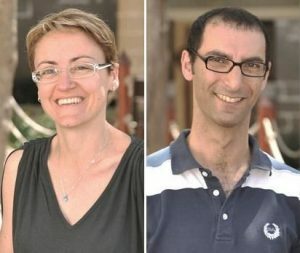 By putting their heads together, Professor Attard and Professor Adrian Muscat (whose academic research interests are in modelling, simulation and pattern-recognition with applications in transport, computer vision and design science), realised that through the development of technology, namely GPS, smartphones and connectivity through Internet access, invaluable data could be collected directly from the source. That’s when VJAĠĠ, a mobile-phone app currently available for Android on Google Play Store, was born. And, with the team currently working on the iOS version, which should be available by the end of the year on the App Store, the Sensing Mobility Project will kick-off a nation-wide campaign to get people to contribute their data to help make traffic in Malta yesterday’s problem. 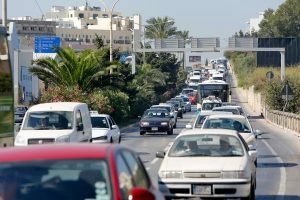 This data will be stored at the University of Malta’s servers, and made available to researchers, academics, entrepreneurs and, of course, the Government and policy-makers, to help come up with solutions to the ever-increasing traffic problem. “In theory, this app will allow better planning for alternative transport infrastructure and help us move away from the ever-increasing dependence on private cars, which are taking up a lot of our land (it seems we are widening more roads every other day) and our time (since allocating more space to cars generates new traffic and makes it more difficult for other modes to operate),” Professor Muscat concludes. The most important thing about VJAĠĠ is that the data is constantly being updated by people using Malta’s roads organically. To ensure that, however, the project requires the help of citizens of every age and in every demographic to succeed. The question is: Will you download it and be part of the change? Download VJAĠĠ for Android here. Help us fund more projects like this, as well as research in all the faculties, by donating to RIDT. Click here for more information on how to donate.